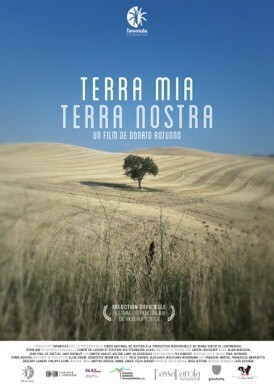 “Terra Mia Terra Nostra” is more than a family movie. Through the life of characters we first met 14 years ago, the film tackles the universal question of belonging to a particular country. It looks at the clash of languages, traditions and cultures, as well as the passage of generations that means memories are lost to an imaginary Italy. Today’s life is elsewhere. The sense of double belonging and of dual nationality is transposed into a constant search for meaning. Where can one find balance? How can one define oneself? The career of the film director Donato Rotunno started with the short film “Fishtrip” (1996) and continued with documentaries on themes specific to Luxembourg, including immigration (“Terra Mia Terra Nostra”, 2012 ; “Les Mesures du rectangle”, 2002), cultural mixing (“Blà Blä Blá”, 2011), the role of politics in society (“André et les voix dissidentes”, 1999), and the relationship between contemporary art and film (“Making of a picture” and “Landscape with a corpse”, 2003, inspired by the work of Japanese photographer Kaoru Izima). His first feature-length fiction film, “In a Dark Place” (2006), won the award for best artistic contribution to the Lëtzebuerger Filmpräis in 2007 and his second film, “Baby(a)lone”, an adaptation of the novel “Amok” by Luxembourg writer Tullio Forgiarini, tells the story of two lost teenagers, aiming for happiness in a society which has resigned from its duties. Now, he’s currently completing his next documentary “Dreams have a language” co-directed by the french artist Sylvie Blocher, and he’s working in collaboration with Jean Portante on an original script extending the themes dealt with in “Terra Mia Terra Nostra”. A film studies graduate of the Institut des Arts de Diffusion in Louvain-la-Neuve, as a producer, Donato Rotunno co-founded the production company Tarantula Luxembourg in 1995, through which, to date, he has supervised more than 20 feature films. Donato Rotunno was born in Luxembourg in 1966. He lives and works in Luxembourg.